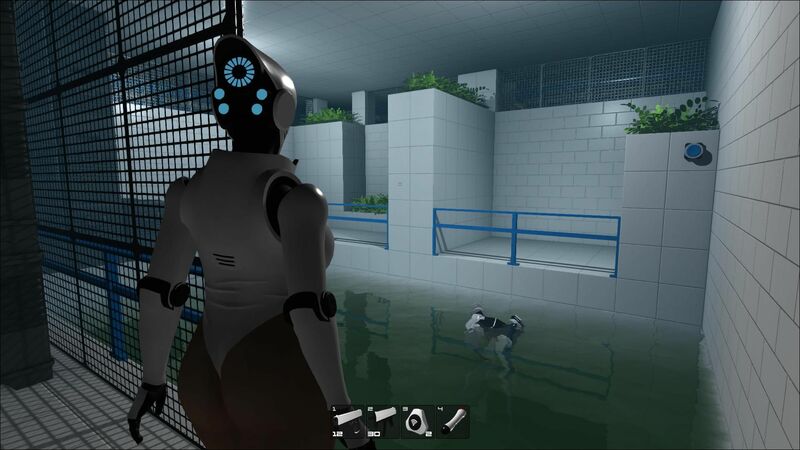 Description: Haydee is a complex old-school three-dimensional platform-shooter, but it is difficult not only because of the difficulty levels, the lack of regeneration and a limited number of saves, but also because it will distract you from the tasks gently rocking, impressive size of the female charms of the heroine .. No matter how you spin the camera, it will still focus on the most savory parts of Heidi. You are Heidi - half man, half robot. 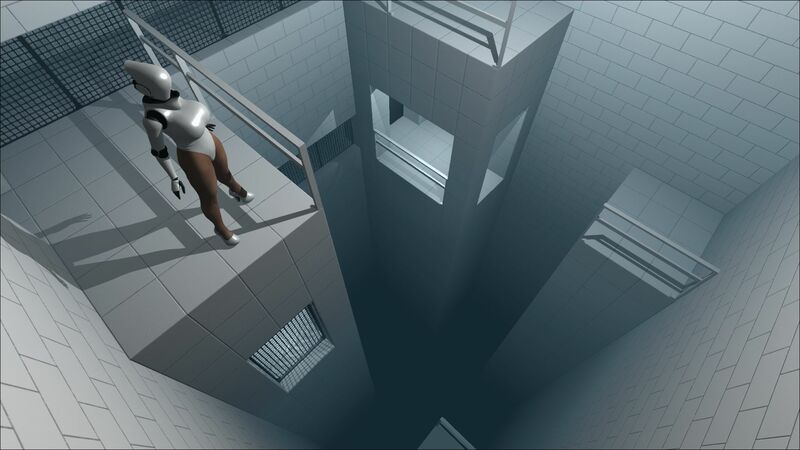 You need to find a way out of a strange artificial complex full of traps, pain and depression. You will not encounter a single casual puzzle, the game does not have the principle of "Click the" X "to win." Your guns, instincts and logic are your only friends. Your only assistants are save stations, limited inventory and a pistol. Look for hidden objects, take care of your ammo and stay alert in your adventure. Be alert, be smart and be prepared. Be good Be Heidi. Added 3 new conditions to outfit system (nomask, novisor, nojacket). Common condition now means this 3 is true. 1. To go down from the ledge, you need to turn your back to it in the crouching position and press it to sit down again. In the same way you can go down and out of the ventilation. 2. The guide does not grab the projections above 2 meters (4 tiles on the wall). 3. A character cannot grab onto a ledge if there is something in his hands. 4. The number of floppy disks is limited. So think twice before persisting. 5. On the hardness complexity, the damage doubles and the scatter of the weapon is stronger. There are also fewer items, and the inventory contains only 9 slots. 6. Hold down the aiming key so that the character dives. Use the run key to swim. Unpack the archive "Outfits", throw the folder "Outfits" in the root of the game with a replacement. Start the game and select "COSTUME"! System requirements (minimum): WinXP / 7/8/10, 500mb RAM, 200mb HDD When couples problems in life - they go to a family psychologist. When they have problems in bed - they go to me. I help liberate their wives to husbands, help them to change so as to save their marriage.